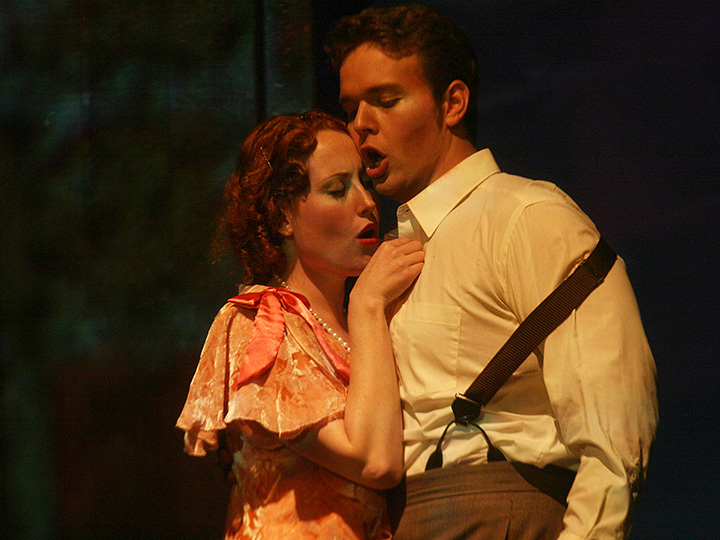 Jones in the Moores Opera Center's 2009-2010 season production of "Elmer Gantry"
A UH alumna has been honored with one of the recording industry’s most prestigious awards. Critics have called Jessica Jones’ performance “astonishing,” “thrilling” and “fabulous” but now the University of Houston Moores School of Music (MSM) graduate is a Grammy Award winner. Jones, who graduated from the University of Houston with both master's and bachelor’s degrees in vocal performance, scored music gold for “Best Opera Recording” for her portrayal of Chrisann Brennan, Steve Jobs’ girlfriend and mother of his oldest child, in “The (R)evolution of Steve Jobs.” It was Jones’ first Grammy nomination and win. "I never imagined that I would ever be nominated for a Grammy, let alone win one," Jones said. "My dream has been to sing. I have been lucky enough to pursue this passion and that I was part of something that received this honor feels like a dream come true." "My education at UH was paramount to my success," said Jones. "I worked with so many wonderful teachers at the Moores School of Music in many departments. They are like my family and I am so grateful for the education I received." Jones has performed all over the country. 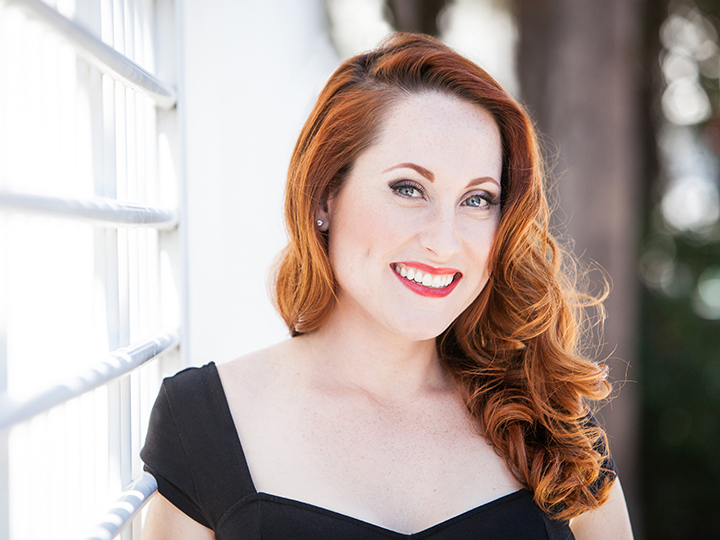 She currently lives in Miami, where she will perform with the Florida Grand Opera through May.